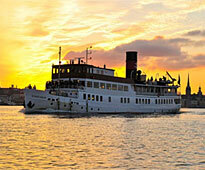 Stockholm Sightseeing Tours by boat included meals - boat sightseeing included dinner, lunch or brunch. A good way to experience Stockholm is on a sightseeing tour via boat with a combination with food. 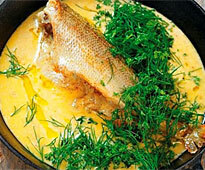 You can go by boat and exprience the Stockholm archipelago and at the same time eat some delicious food. 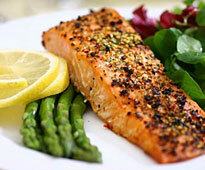 Below we present some of the tours you can do by boat and at the same time enjoy food. 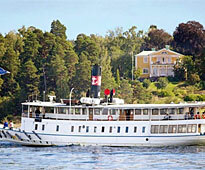 We cooperate with Strömma who is the biggest official tour operator in Stockholm. A nice boattrip in the Stockholm inner arhipelago with a food buffe, is a very nice alternative to spend a Saturday or Sunday on. 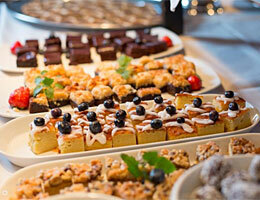 The trip is three hours and the the buffet have traditional Swedish dishes, both cold and warm meats. You can also choose salad and bread and of course dessert. From the table you can sit and eat and at the same time enjoy the environment. You can also sit on the promenade deck. The price includes the trip and brunch buffet. Free: Children under 6 years old. Half price: Children between 6-15 years old. Come and enjoy a summer buffe on board the boat. At the same time you will get a festive atmosphere and a nice view. You travel on the Lake Mälaren. 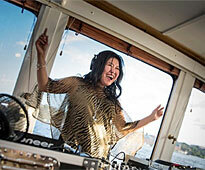 The ship has it´s own DJ who will play music during the whole trip. You will stop and get off in a small harbour in Mälaren. Afterwards you will be served desssert. also included 1 glass of sprakling wine. The ship is built 1912 and have a nice atmosphere. The trip will go through Skurusundet. The boat will also stop at chosen museums along the route. 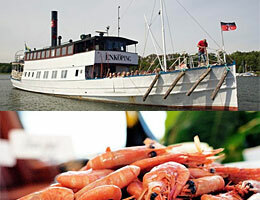 Enjoy an avening shrimp tour and watch the beautiful archipelago while you dine. This tour departs 7.30 and last for approx 3 hours. From our bar on board you can order a drink and enjoy the sunset. Dom´t miss this tour if you like shrimps. 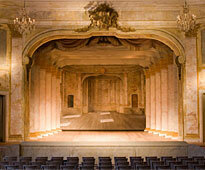 Drottningholm Court Theatre. 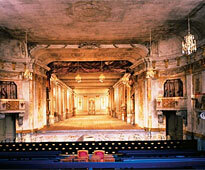 When you arrive you will go to the show that are played in the beutiful 18th century palace theatre. Return trip by bus. experience Stokcholm arhipelago. Note! the dinner is not included in the price. See meny for prices. Stockholm archipelago. If you want you can book your tour without lunch. There is a cafetera on board. home to the Royal Family of Sweden, Drottningholm Palace. You will pass cobs and island on your way. Dinner not included in the ticket. Welcome to a trip that takes you through the beautiful Djurgårdsbrunnskanalen and Stocksundet to Edsviken and Ulriksdal Palace. Onboard you will be served a plate with Swedish tastes. When you arrive to Ulriksdal you will go on an Opera performance.Dinner and show included in the ticket. 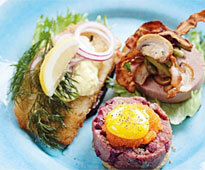 Take this trip in Stockholm´s outer archipelago and enjoy a nice lunch. You order from the a´ la carte menu. Lunch is not included in the ticket.The children can order from the children´s menu. On your way you can also go on deck and see the beautiful archipelago. 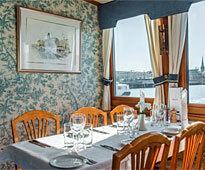 Take this trip in Stockholm´s outer archipelago and enjoy a nice dinner. You order from the a´ la carte menu. Dinner is not is not included in the ticket. Are you a family, the children can order from the children´s menu. On your way you can also go on deck and see the beautiful archipelago. For you that loves shrimp! 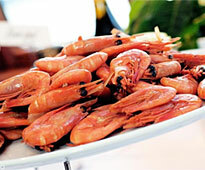 Don´t miss this trip with a shrimp buffe. Eat as much as you can on this boat trip in Uppsala archipelago. You travel with the world´s oldest passenger ship from 1868. The shrimp has been fished in an environmentally friendly way. You will also be served a glass of sparkling wine or non-alcoholic bubble with snacks. The trip include the shrimp buffet and a glass of sparkling. Departs from: islandsbron in Uppsala at 7 pm. dining room and a nice bar. The dinner is not included in the ticket. 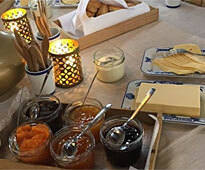 Take a trip to Drottningholm Palace and enjoy a lunch on board. You travel along Mälaren to the Palace. No problem to go ashore and visit Drottningholm. Round-trip ticket. If you like, you can also choose one way tickets. Lunch not included in ticket. Take a trip with the Cinderella boats and when you arrive to Grinda you can eat lunch. Prebook before you go. On your trip you will pass Nacka Strand, Gåshaga and Vaxholm. You decide how long time you want to stay at the Island, when you do your booking. On the Island you can go swimming or do other activities. Departs from: Strandvägen, berth no 14. 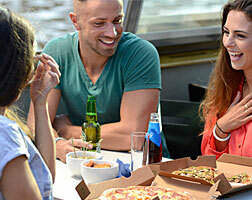 Take an evening trip by boat while eating freshly baked pizzas. The pizzas are delivered to the boat. The trip takes about 1.5 hours. Hang out with friends, family and enjoy the views around Stockholm's quays. The evening ends with ice cream. 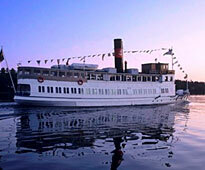 Popular dining cruises in Stockholm! 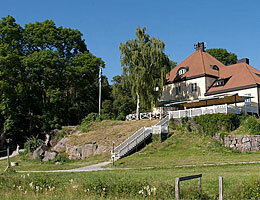 The tours are presented in cooperation with Strömma. We reserve us the right to any changes.